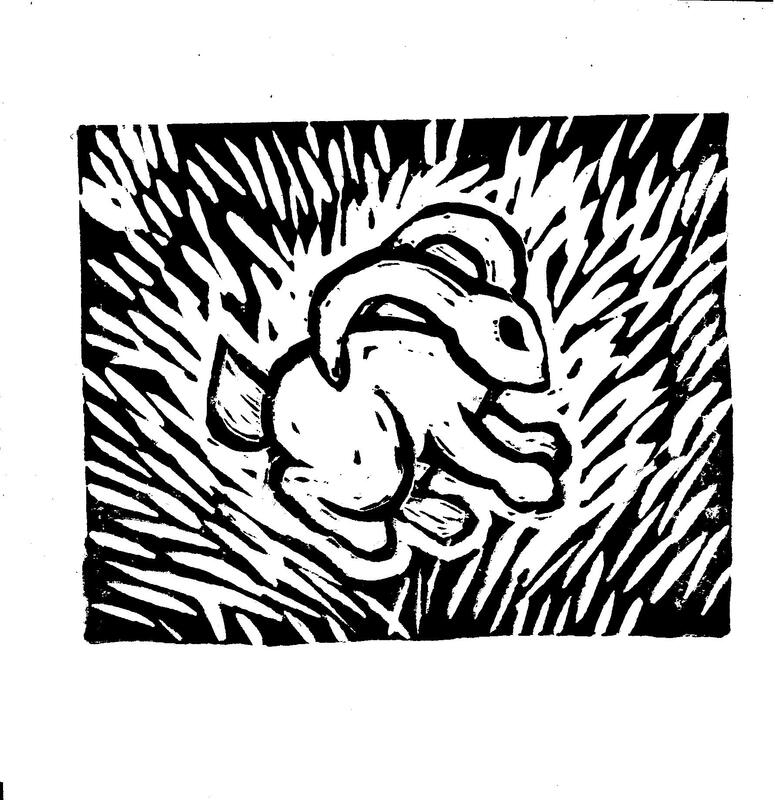 Bunny lonoprint 5×7 card is blank inside. This adorable bunny hopping through the grass will bring it’s cuddly charm to any room! At 5×7, this little jewel can be used as a greeting card, as well as being a fine art piece. Printed from a hand carved lino plate, each piece is an original work.